The picture associated with the Facebook Quiz discussed in the post. 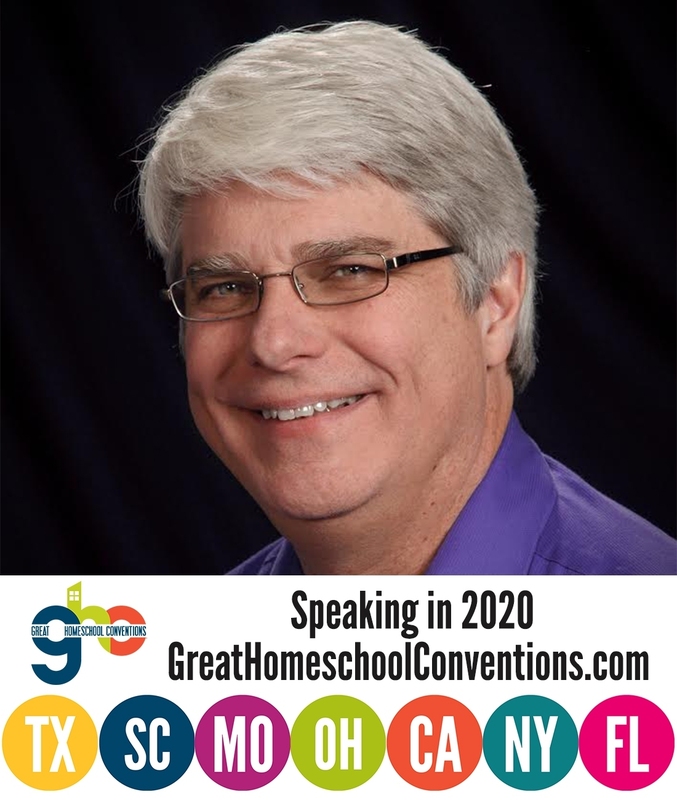 One of the talks I give at a lot of homeschooling conventions is entitled, “Teaching Critical Thinking.” It is a fairly popular talk, and I enjoy giving it. Of course, one of the best ways to illustrate critical thinking is to give an example of someone actually doing it. I recently ran across just such an example, so I thought I would write about it and incorporate it into that talk. I play the electronic keyboard (and occasionally the piano) at church. While there are much, much, much better pianists than me, I enjoy playing, and some members of the congregation like to watch me while I do it, because I tend to get lost in the music, sometimes almost “dancing” at my keyboard. Indeed, a good friend once called me a “musician,” and I promptly corrected him. I told him that I am a dancer who uses a keyboard as a prop. He agreed. In any event, because some people think of me as a musician, I often get tagged in Facebook posts that deal with music. Such was the case a few days ago. A good friend of mine tagged me when she posted the Facebook quiz pictured above. As you can see, the quiz says, “Only A Music Major Can Get 10/15 On This Quiz.” My friend was happy, because she had scored 100%. 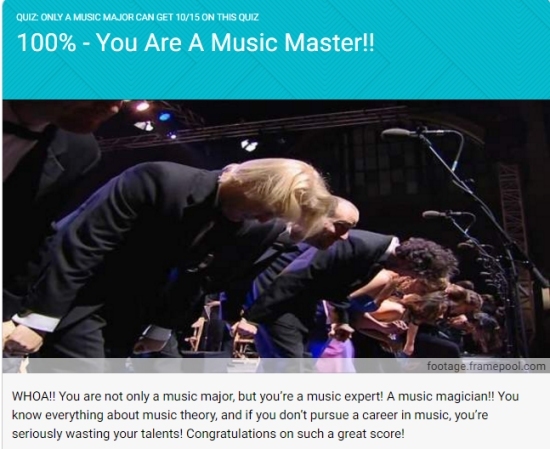 At first, I didn’t take the quiz at all, because my knowledge of music theory is incredibly weak. However, my friend tagged several others, and many of them took the quiz. Nine of them posted their results, and all of them got 100%. That’s when one teen’s critical thinking skills kicked in. The teen to whom I refer is named Elli, and she is an incredibly talented musician who usually plays the piano for our church. I sit behind her, playing an electric keyboard to add a bit of an “orchestral” feel to the worship music. She is not only an excellent pianist (and singer), but she also knows music theory really well. Whenever I am confused by the chord progressions in a song, I ask her, and she patiently explains them to me. It is an absolute joy to work with her. Not to burst everyone’s bubble, but I also got a 100%, and then grew suspicious. I took the test again and purposely missed 50% of the questions and low and behold… I got a 100%. I’m sure you all are very smart and musically educated people, but this is your comedic warning to not quit your day jobs and become music majors. This is a perfect example of what it means to think critically. Elli read that nine people got 100% on a quiz that contained some aspects of music most people don’t worry about, such as how many sharps are in the key of F minor (the answer is none – it has four flats). She grew suspicious that there were no reports of people getting less than 100%. As a result, she decided to “test the test.” Knowing all the answers, she took the test again, purposely missing several. She still got 100%, indicating that the test was faulty. I repeated her process, getting 100% twice, even though several of my answers were different in the second attempt. Now this doesn’t surprise me. These days, “self esteem” is valued more highly than truth in many circles. As a result, some groups don’t care if people learn anything. They just want people to feel good about themselves. As a result, they don’t correct falsehoods. They just want everyone to think they are experts about everything. As an educator, that really, really bothers me. Unfortunately, I see it happening more and more in many educational settings. So the obvious “take home” message here is that you shouldn’t believe the results of Facebook quizzes. The more important message, however, is that you should start thinking like Elli. When you encounter results that seem wrong, question the method used to produce those results. That’s one of the hallmarks of critical thinking. Reminds me of the “Photo Contests” this company used to run in the back of the newspaper. Pretty ingenious actually. They place an ad asking photographers to submit their best photo but warn that only the very best of the best are selected. If you are selected you receive the honor of being published in an annual photo book. Its free to submit so naturally they get millions of submissions throughout the country. Here’s the catch. Everyone wins – or at least they get a letter telling them they won. There’s conveniently an order form included in this letter that asks how many books you would like to purchase. Only people who order the book ACTUALLY make it in the book. All the other “winners” end up on the cutting room floor. You’ve basically bought your few inches of fame and then some! I’ve seen this quiz. I’ve been a professional musician. The material in the quiz is actually pretty elementary. Some of it I taught myself when I was 7. That’s how basic it is. The purpose of these social media quizzes (as well as the poorly written articles that require several pages of clicking to read) is to generate traffic to sell advertising. I’ve noticed an experiment with the quizzes. Some of them grade accurately. Some of them give you a good grade no matter what you put. Even if you score terribly on the ones that grade accurately, it returns a generally positive message. The experiment is to see if one method generates better traffic over the other.